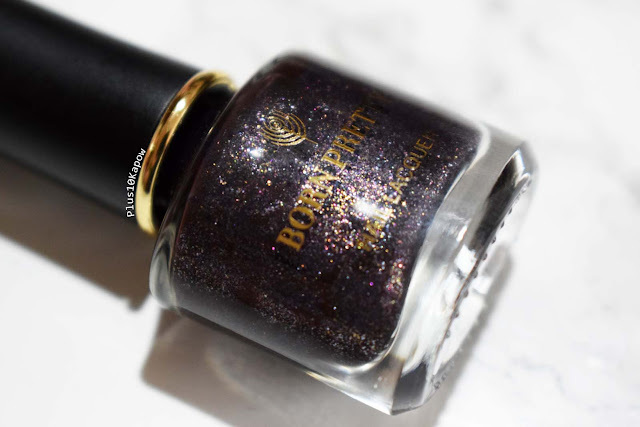 Born Pretty Store have quite a few different types of peel off ranges and Cold Wind is from their Glitter Peel Off range. 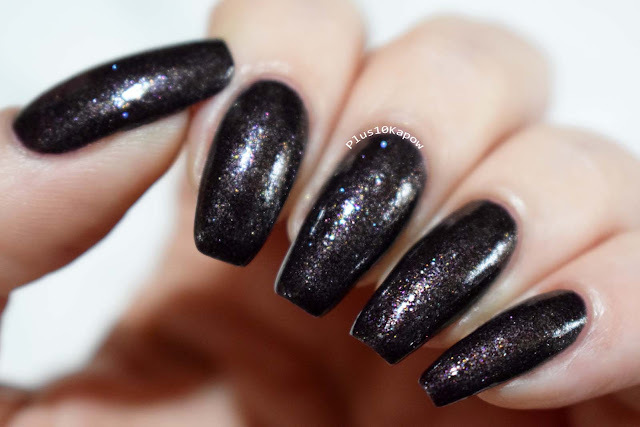 Cold Wind is a dark, purple with a holo shimmer and small glitter flakes. 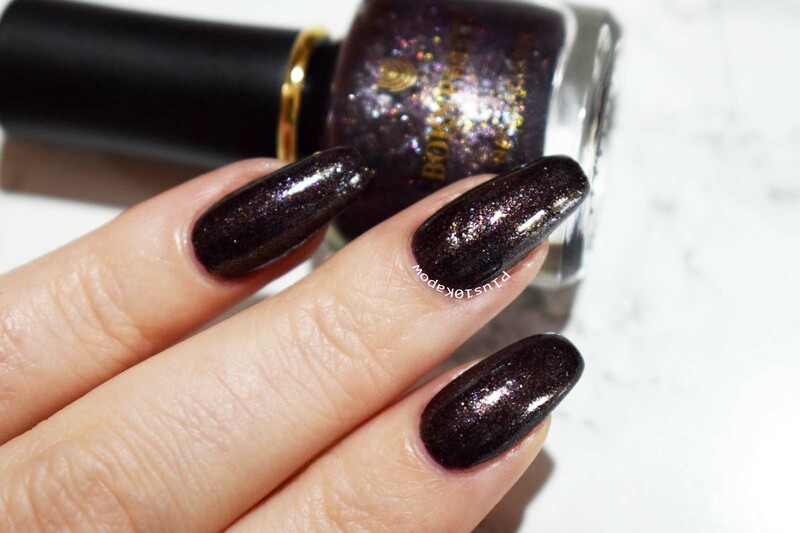 The formula is of this polish is pretty thick but not too difficult to work with. It took 2 thin coats to be opaque and the coats did dry pretty quickly, although because of the thickness of the formula, I did have one spot on my thumb that I had applied way too thick, so that took absolutely ages to dry. Every time I did the touch test it came off on my thumb. But every other nail dried quickly and to a smooth, semi glossy finish. 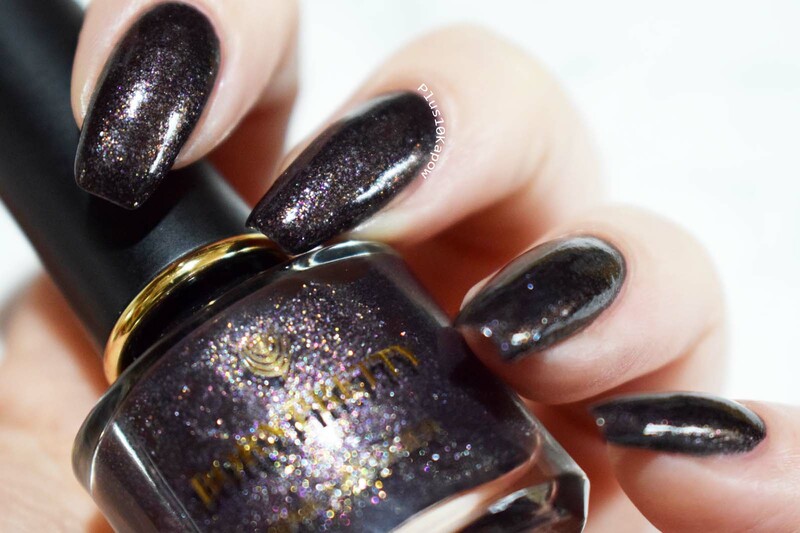 These swatches are without topcoat and as you can see it's quite sparkly. It was easy to clean up and it didn't stain at all. Now onto the peel off bit. It really works. I was sceptical but then I have barely used peel offs and only recently bought UNT Peel Off base coat. But this polish really does peel off and mostly in one piece. I did find that the thicker application, like in the centre of your nail, is where you tend to get the best peel action and on the edges where application is thinner, tends to be where you get little chunks left behind. And it wasn't just a fluke! All 5 peeled off in one piece, with only the middle one ripping slightly. So it really works. This polish could be perfect if you want a darker, glittery, glam look for the night but need to quickly go back to muted colours for work or something. 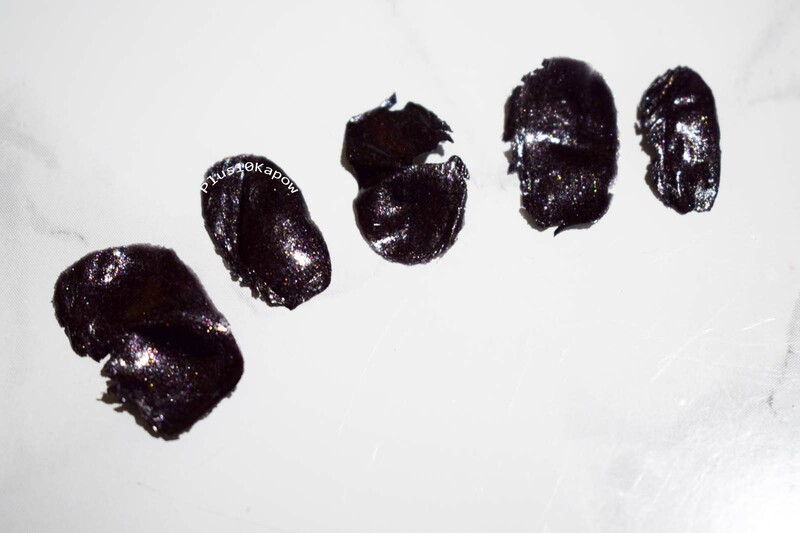 But it also doesn't damage your nails when you peel it, so if you are a polish picker, this would be great for you, because you can still pick but not damage your nail in the process. It's also fantastic if you just want a bit of nail art and you know you're going to be taking it off fairly quickly. You can find this, along with the others in the Glitter peel off range here for £1.96/$2.59 for a 6ml bottle. Don't forget that you can use code CBAQ10 for 10% off all non sale items when you order from Born Pretty Store. 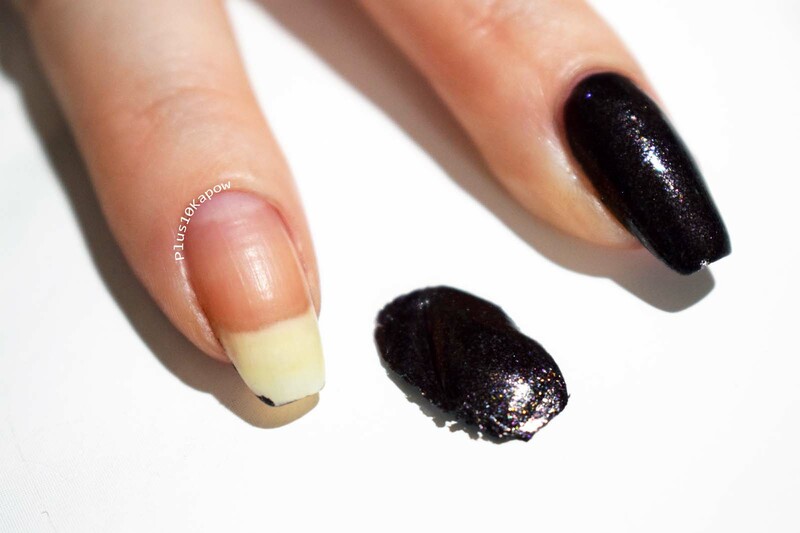 Have you tried any peel off polishes?